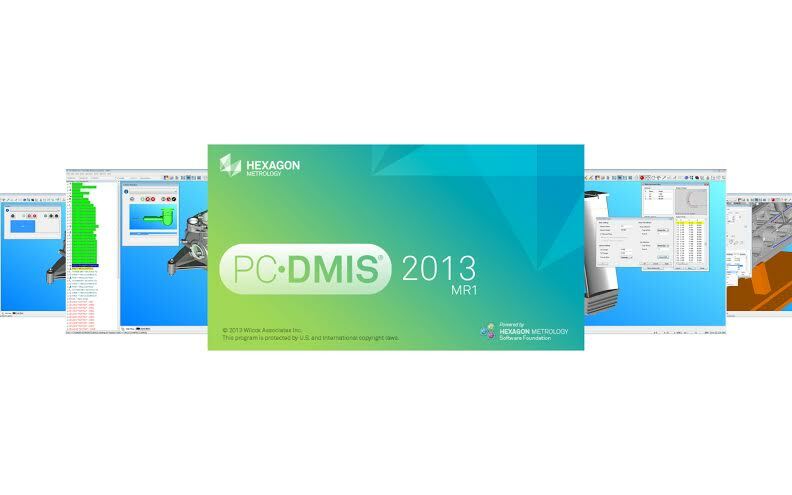 Hexagon Metrology today announced the availability of PC-DMIS 2013 MR1, a mid-term release of the world’s most popular measurement software used to collect, evaluate, manage and present manufacturing data. Software highlights include new user interface elements for a cleaner, simpler look and feel, more than 100 customer-driven enhancements, and new software tools. PC-DMIS software comes standard with Hexagon Metrology measurement systems, and is also available for a wide range of other metrology devices available in the marketplace. The new versions of PC-DMIS now utilize Microsoft 6.0 Common Controls to provide a more cohesive and intuitive user interface. The appearance of common controls in dialog boxes has been streamlined throughout the software. For example, the “Execution Mode Options” dialog box has been shortened to “Execution” icons now replace buttons in the dialog box, and drop-down lists have been redesigned. 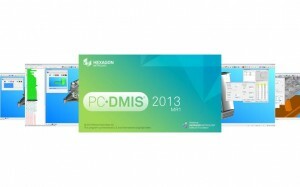 The mid-term release spreads a series of enhancements across the PC-DMIS EMS (Enterprise Metrology Solutions) platform. The Blade Analysis module includes the ability to create a Nominal file and a Report file directly from PC-DMIS. Utilizing the Blade Scan toolkit, users can now perform a defined path scan. The new Auto Feature measurement strategy enables users to scan a plane by moving along a path defined by a set of points. The software also includes a new simple graphical user interface to calibrate LSPX1C, LSPX1H, and LSPX1SF probe changers. PC-DMIS 2013 MR1 also delivers a one-click manual target area for optical coordinate measuring machines (CMMs). For use with the Hexagon Optiv multi-sensor CMM, PC-DMIS Vision software adds a CWS (Chromatic White Light Sensor) scanning capability to their FDC (Firmware Distributed Control) Interface, as well as continuous wrist mapping for the CMS sensor. In the PC-DMIS Vision module, the Auto Focus feature gained improvements in both speed performance and overall focus repeatability.